The NKS-V017-A processing board is a high performance industrial Carrier card dedicated to high performance data acquisition and communications based on the Xilinx Virtex-7 XC7VX690T FPGA family. 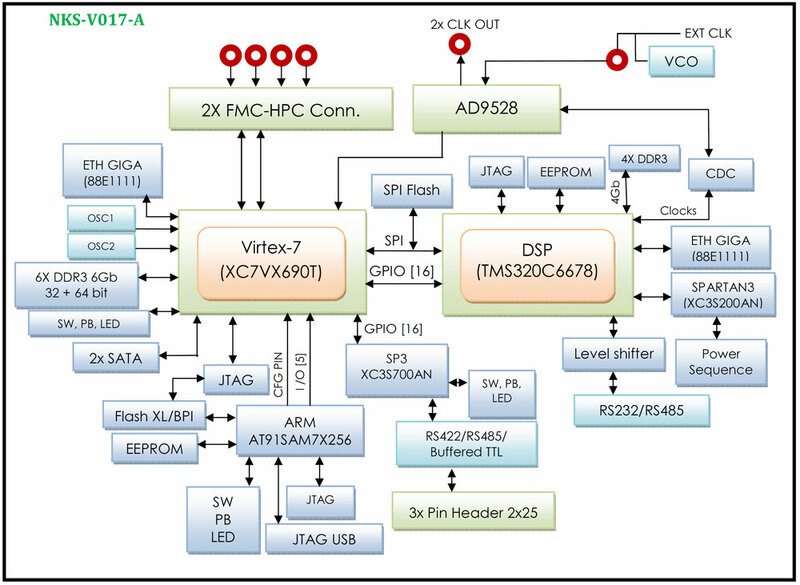 The NKS-V017-A board enables designers to prototype high-performance digital transceivers. 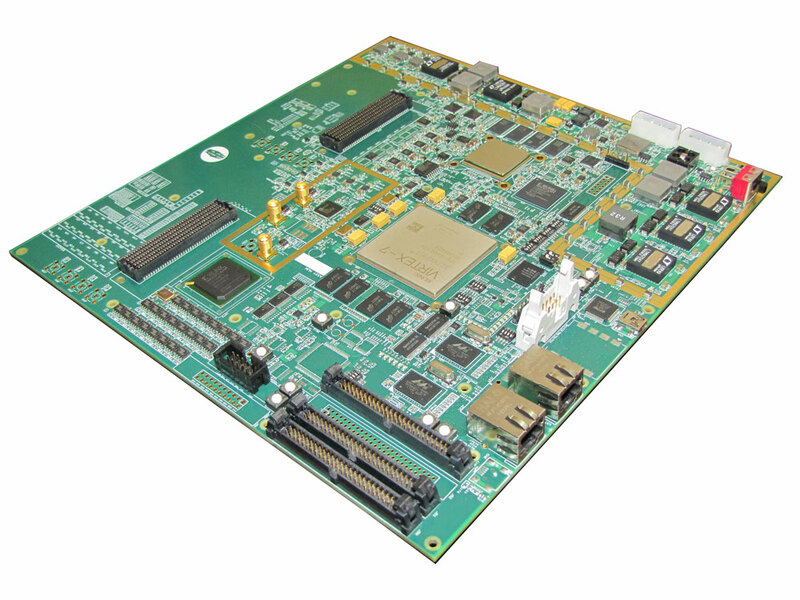 The board includes a DSP Processor (TMS320C6678) which incorporating the new and innovative C66x DSP core, this device can run at a core speed of up to 1.25 GHz. The sample clock can be supplied from PLL clock distributor, externally through a coax connection or supplied by an internal clock source. 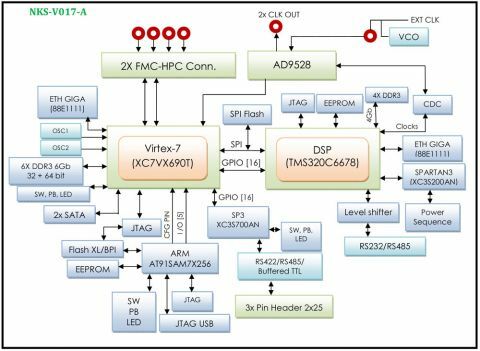 The on-board FPGA Mezzanine Connectors (FMC-HPC) can make a high bandwidth data transfer channel with VITA 57.1 standard modules.